This particular color combination might not be a favorite for everyone… but the concept is perfection. 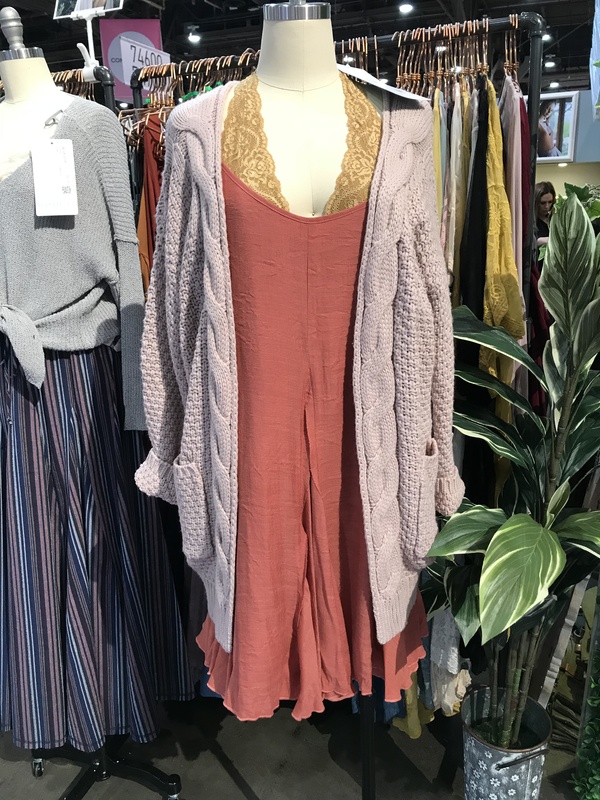 Lace bralette + flowy tank dress + chunky cardigan. The combination of colors and textures creates a dynamite outfit!